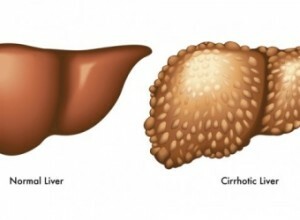 Cirrhosis of the liver is a disease of the liver, symptoms may present in a variety of ways, some of the most common are a lack of energy, tiredness, weight loss, loss of hunger, nausea and weakness . Fluid retention is frequent at some point in the stages of cirrhosis, whether through stomach bloating or swelling of the legs. 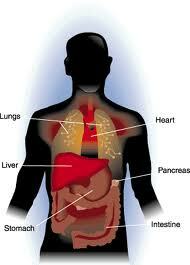 Cirrhosis of the liver is the seventh most deadly disease in our modern world . It is extremely important to consume a balanced diet, address your lifestyle and to seek specialist help immediately if you suspect you may have Cirrhosis. 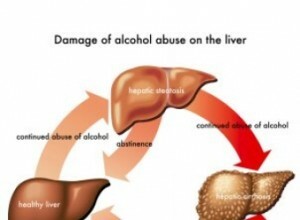 There are actually many reasons as to why, not just alcohol abuse or the various forms of hepatitis. The role of the liver is of crucial importance within our body.It is the second largest organ in the body after our skin.Every nutrient we eat must pass through the liver so it can be transformed into a different biochemical form to be utilized in various places within our body . Where is the liver located? It’s located just below the right rib cage on the upper right side of the abdomen, just on top of the pancreas and the small intestine. The liver has two halves, the right lobe and the left lobe.The right lobe is larger than the left; the size of right lobe is approximately 60-65% of the liver. Blood flows into the liver through two large blood vessels from below – the hepatic artery which draws oxygen rich blood from the heart, and the portal vein which draws blood flowing out of the gut which is enriched with ,minerals,vitamins and other nutrients. What does the liver do? Your liver does many jobs, and has three main functions: digests what foods and liquids we consume and drink, creates proteins and gets rid of all the “toxic stuff” by filtering the blood. Blood that flows through your small intestines then moves through your portal vein and into your liver, so mostly all of the nutrients you eat pass the liver to be broken down for generalized distribution. When you chew, there is a very small degree of absorption in your mouth and under your tongue. At this point your liver decides what nutrients to utilize and redistribute , which ones to store and which ones are waste products to be flushed from your system. 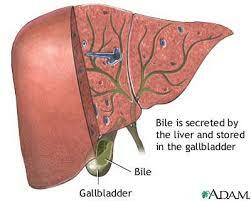 The importance of Bile.Bile is stored in the gall bladder, it is a greenish yellow liquid and has a number of roles. The two most important are to break down fats and also to clear bilirubin from the blood. If the liver is not functioning and clearing bilirubin , jaundice will occur. Jaundice is where the skin and all membranes turn yellow and is a clear pointer to a liver under stress . Bilirubin is the substance that comes from the decomposition of hemoglobin in dead red blood cells. Cirrhosis of the liver is a disease that develops slowly and may take years to manifest conditions depending on how you live your life.When the liver is damaged in response to a stimuli, it will develop scar tissue much the same way as your skin does when you graze your knee and a scab forms The liver repairs these damaged areas with stiff rigid scar tissue or fibrosis as it is known. As this scar tissue is very different in composition from the surrounding liver cells, it cannot function in the same way. Loss of sexual drive, impotence and testicular atrophy because of poor pituitary function. Jaundice due to increased bilirubin levels. Will Cirrhosis Affect What I Eat? People in the early stages of cirrhosis, providing it is discovered in time, have a good chance of living a much longer life by altering their diets to a liver friendly diet. Learn how herbs and foods can make a difference for you . However, people with advanced cirrhosis usually need to change their diet and completely avoid alcoholic drinks. A person with advanced cirrhosis must also be careful to only take physician-prescribed medicines as the damaged liver can be affected adversely by certain drugs. Always consult a specialist in this area about the safest drugs to use. In the early stages, patients have a good life expectancy , providing they are careful with their diet , lifestyle and proper medical care. The best thing you can be, is to be proactive in your own self care and to take all possible steps to look after yourself. Please find a medical practitioner who suits your needs and that you can talk to and understands your concerns. It is a nasty disease and to have an understanding practitioner is vital. There is a so much help available. 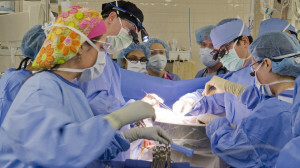 Towards the later stages when the liver is really struggling or compensated, the only option is to have a liver transplant. You will be added to a waiting list to receive a new liver. Your transplant team will check to see if your heart, lungs, kidneys, and immune system are in good shape to undergo surgery. They will also run psychological tests to ascertain if you are emotionally and mentally ready for the transplant process. It is very important to have a supportive team of people to help you after surgery from family to friends and the surrounding community may have available assistance in the weeks following surgery. You will be on medication for the rest of your life to stop your system rejecting your new liver.